Now that you are planning to start a restaurant business, be prepared to face a tough competition from new and established entrepreneurs in the field. But you will be able to counter the competitors if you have planned your restaurant carefully, considering all the aspects. 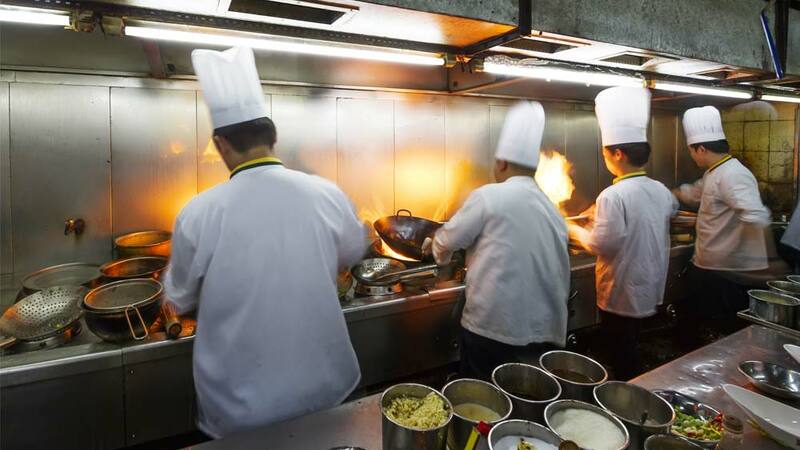 You must take each step to starting your restaurant cautiously. Here are some alarming statistics. According to Bureau of Labor Statistics, nearly 50% of small businesses fail in the first four years including restaurant businesses. Such stats are worrisome but should not discourage you from taking the plunge. Instead, just take extra caution in planning your venture. In fact, here are some encouraging stats too from the restaurant industry for you. A report in restaurant.org has come out with some amazing data that should get you started for opening your restaurant. The report says that in the U.S, annual sales in the restaurant industry are estimated $783. The U.S has more than 1 million restaurant locations. Also, 90% of the people in the U.S enjoy going to restaurants, and the restaurant industry was projected to grow by 5% in 2016. So, do these projections encourage you? If so, then the first thing to avoid is to start the business blindfolded with a random approach. Most of the failed business started without researching the markets, customers and not having adequate funds. 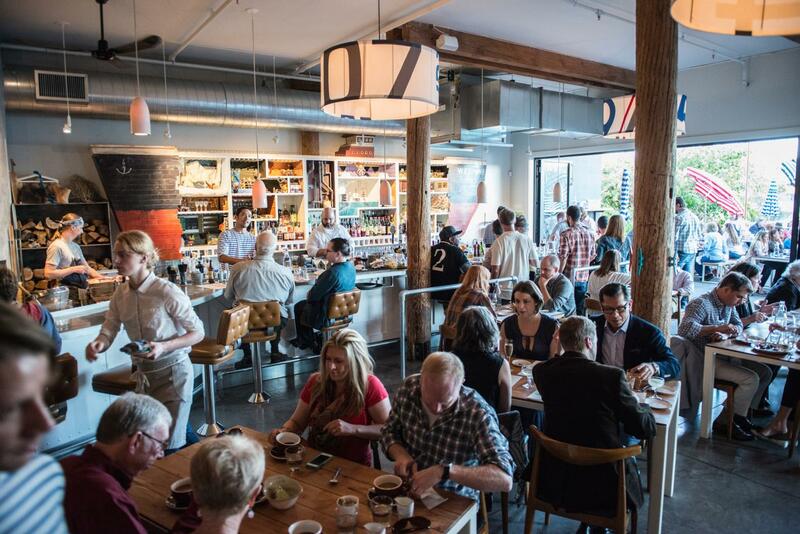 Have you considered the existing market conditions in the type of restaurant you want to open? Do you have information about the customers you want to target? What are the backgrounds of your consumers? Ask such kick-start questions when researching a market. Write down as many such queries as you possibly can and find out their accurate answers. The details will give you access to an insight into the restaurant business. This, in turn, will help you plan well for opening a new restaurant and running it successfully. Once you have researched the data, you can plan strategically. Remember that you will be spending a lot of money and time —-therefore make sure that you start the business only if you have the passion for it and have all the relevant market information. You must figure out what your restaurant will look like in the end. You must know in advance about the theme of your restaurant, what furniture and decoration will go with the theme and so on. Do not move a step further without first having a business plan in place. 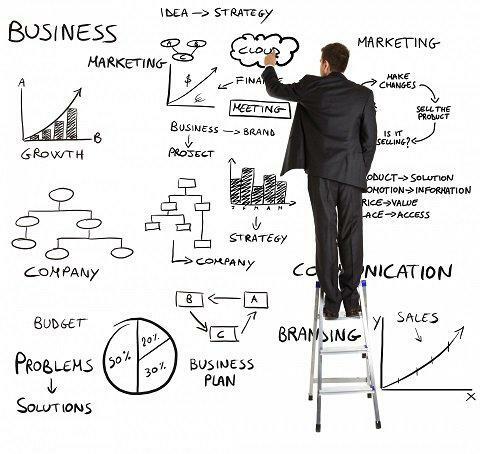 A business plan in hand will keep you on the right track every time you divert from the direction. However, avoid making a random plan and instead create a plan that is tailor made to your specific requirements. The plan must also synchronize with the market research you made earlier. Make sure that the plan is based on the data you have about your target audience, competitors and budget projections. To have an idea of what business plans look like, here are some templates for making restaurant business plans that will help you make a detailed plan for your venture. 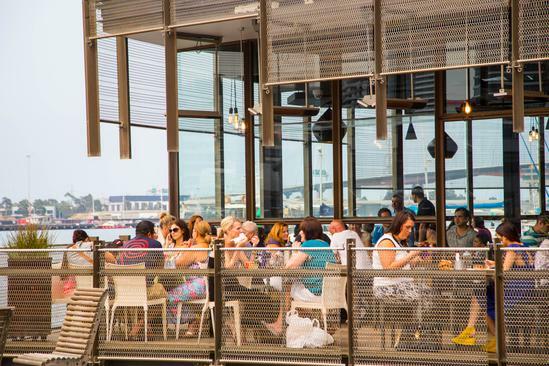 Perfect location of your restaurant is perhaps the single most reason for making or breaking your business. After all, a restaurant is a place for enjoying the food, not just eat it. And, the location is very much a part of enjoying the food. Try to find out a spot that people frequently visit and where crowds gather just for fun. Your restaurant will draw people’s attention and customers regularly. The place must be easily accessible. A good parking space is an integral feature of an ideal restaurant location. For example, a place frequented by the young crowd is ideal for starting a fast food restaurant. When choosing a restaurant location, you will consider financial and legal as well as other aspects such as getting employees easily. Of course, you may take a lot of time to find such a perfect place. So, have some patience. Search around for the place extensively. Your restaurant will generate word of mouth publicity if it offers several mouth-watering dishes that are unique in taste. You might be having a menu of such dishes in mind. But make sure that you put these dishes to test before serving to the real customers. A surefire way to test the dishes is to invite your friends to a party and serve them. Make it a point to get their honest and straightforwardly opinion about the taste, pricing and other aspects. This feedback will help you create a perfect menu. Instead of physically reaching to a restaurant to find that, the place is crowded and busy with a long waiting list; people first make an online search for the restaurants around in their area. Therefore, a website for your restaurant business is an essential consideration to make. 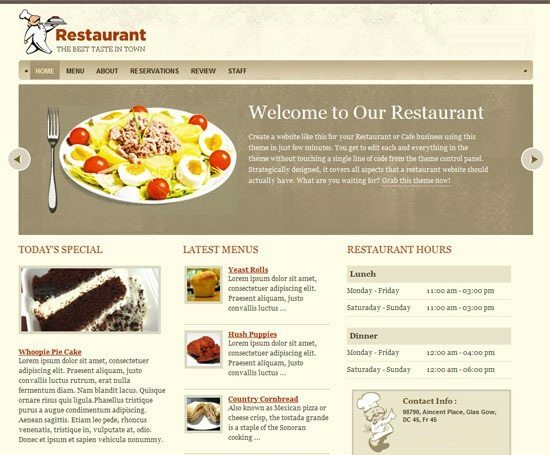 Your restaurant website design must be a great user-experience for your potential customers. They must get the information by navigating the relevant information smoothly. So, the website should display your menu, prices, location address and a lot other information. Your startup restaurant can depend on crowdsourcing sites such as Designhill to create restaurant website designs at affordable costs as per your design brief. Just launch your design contest for many dozens of talented graphic designers to get the design shortly. Do not forget to optimize the website on search engines so that the customers can find your restaurant right at the top of the search results in Google. The website will also help market your restaurant business aggressively as well. Make sure that you follow basics of marketing your restaurant business. A highly experienced chef who knows how to satisfy the taste buds of customers is an integral part of running a restaurant business successfully. You may be paying a big salary to such a chef but it will help boost your business in the end. Do not forget that people come to enjoy food, which means that they bring memories of healthy and tasty food back to home and come back again to enjoy foods some weeks later. You must also pay attention to hire other essential staff, which has experience in serving the customer. Such employees must have training or experience in good manners for professionally serving the consumers. You must generate sufficient startup capital. There are many ways to do it. You can get the funds using equity financing or debt financing. You can search about these two ways to finance your startup on Google. First, find out how much money you need to run your restaurant for initial few months. You will need the money to buy equipment and to ensure a cash flow system in place. Here is a calculator to help you arrive at your estimated startup costs. Also, do not forget to set aside some money for a minimum of six months, until your restaurant starts earning money on its own. You will also need money to pay your personal bills. So, keep these expenses calculated when acquiring the fund. 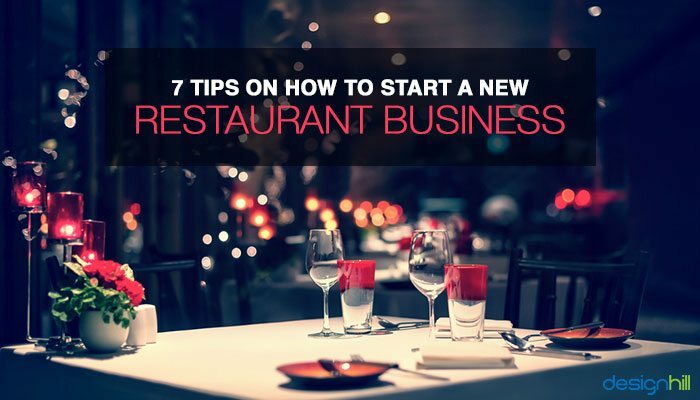 Keep in mind that you may lose money for first six months of your restaurant business. The restaurant is not going to run profitable overnight. So, be prepared and have patience until then. 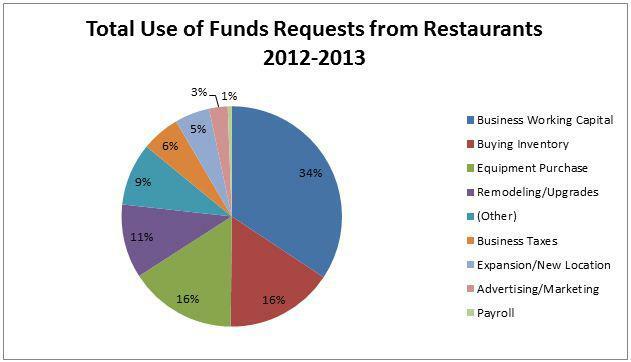 The following graphic will give you an idea of where the restaurant business owners spend their funds. 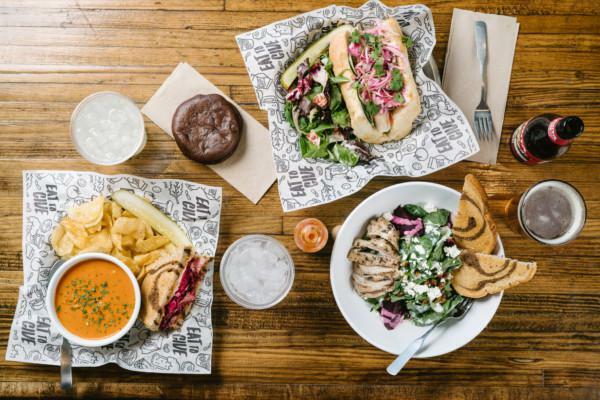 So, these are the consideration your startup restaurant business must make to run it successfully. All you need to ensure is to devote a lot of time and energy in what you do until the venture is finally on its own. And, be prepared for some small bumps on the way. Tackle them with patience and you will eventually taste the success. What is your experience in running a small business? Share it here with us for the benefit of our readers.